Jan 2, 2014 – Pavtube Studio just released new product for iOS device users to recover lost data. It’s called Pavtube iOS Data Recovery for both Windows and Mac. iOS Device users with any generations of iPhone, iPad, and iPod Touch can now recover lost data either directly from iOS device or from iTunes Backup file on Windows or Mac. When do you need Pavtube iOS Data Recovery? Accidentally deleted data from iOS devices. Got iOS device lost, water damaged, factory settings restored. Failed to update iOS system or jailbreak and lost data on the device. Or just want to backup all data from an old iPhone. What can Pavtube iOS Data Recovery do for you? 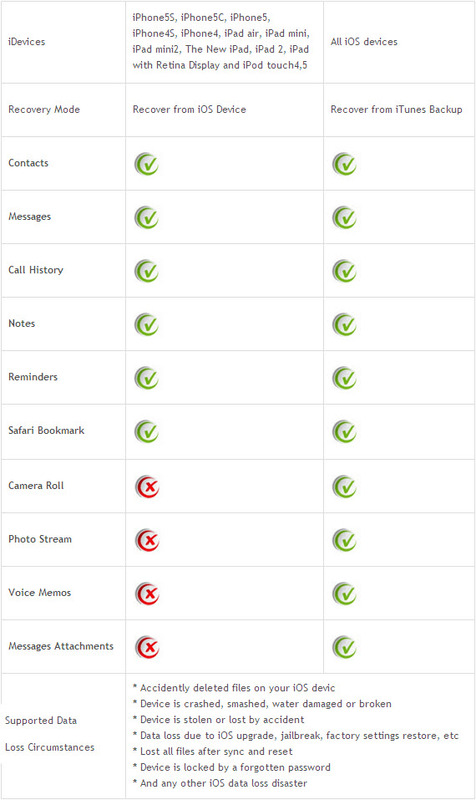 Recover lost data from iPhone, iPad, iPod Touch or iTunes Backup files. Backup existing data on iOS device. 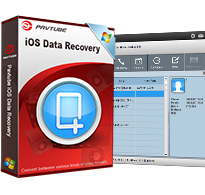 What data can Pavtube iOS Data Recovery retrieve? Pretty easy to use: Retrieve data within only 3 simple steps, Select -> Scan -> Recover; and no prior recovery experience required. Safe, Effective Recovery: 100% safe. Read-only, risk-free, iOS Data Recovery program works without any damage to your data. Preview before Recovery: Don’t want to recover all found files? iOS Data Recovery enables you to preview from the scan result to recover what you want. Selectively retrieve files: Selectively recover, rather than the whole from iTunes backup files. This is not supported by iTunes. Recover7 types of data directly from iOS Device: include Contacts, Messages, Call history, Calendar, Notes, Reminder, Safari bookmark. Retriever11 types of data from iTunes backup: Text content: Contacts, Messages, Call history, Calendar, Notes, Reminder, Safari bookmark; Media content: Camera Roll, Photo Stream, Message attachments, Voice memos. What’s more, it’s free to try. You can download and install one to see what can be retrieved exactly from your iOS device and iTunes Backup.